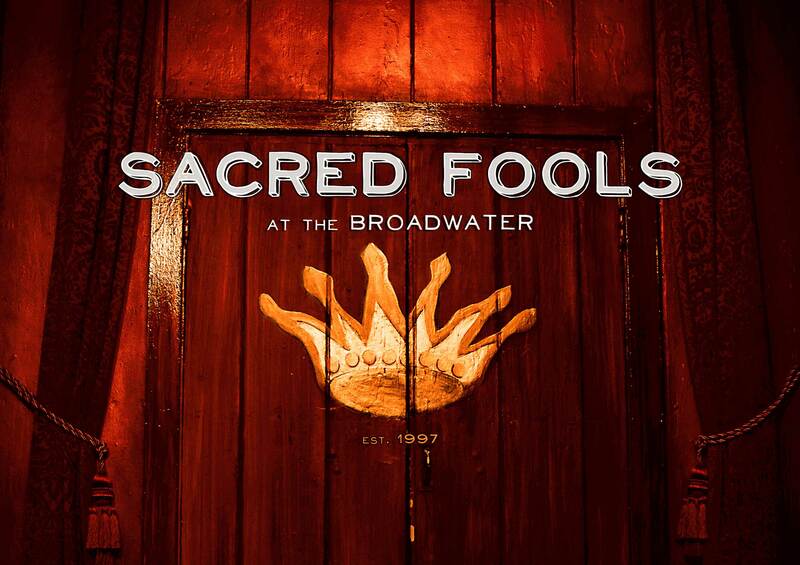 Founded in 1997 in the Santa Monica living room of John Sylvain, Sacred Fools - after over 17 years at our original location on Heliotrope Dr. in East Hollywood - is now in residence at The Broadwater, a theater complex with four stages. 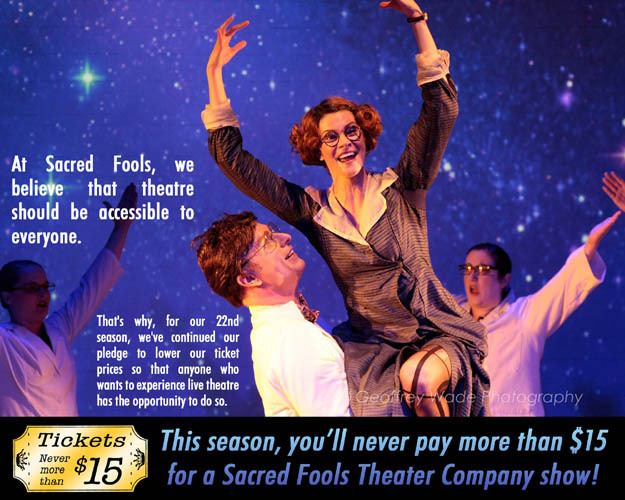 A democratically run membership company, Sacred Fools is the birthplace of the L.A. stage hits The Behavior of Broadus, Absolutely Filthy, Stoneface, the Watson plays, Land of the Tigers, and Louis & Keely: Live at the Sahara. 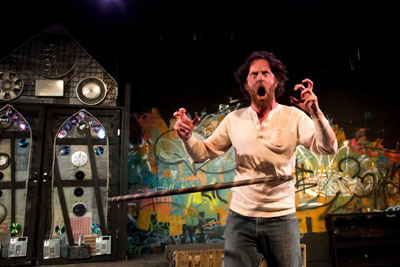 Please help support our 22nd season of critically acclaimed, award-winning theatre. Learn more about us, our mission, our commitment to diversity and cultural inclusion, and our education and outreach programs! Sign up for our mailing list and stay abreast of all the latest Foolish news! Our educational projects are supported in part by the California Arts Council, a state agency. Our annual 'ZIP Project,' in which residents and stakeholders of our zip code, 90038, can attend our shows for free, is made possible in part by a grant from the City of Los Angeles Department of Cultural Affairs.